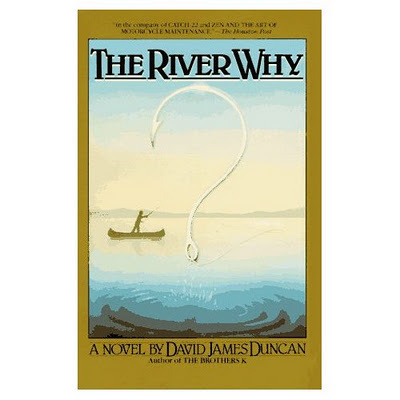 In a couple weeks, The River Why will be released on DVD. Below I present several pieces of information and open up the topic to debate: to watch or not to watch the movie. Here you can read a press release from the producer on the release of the film, with some notes on the background of the making of the movie. Here you can read a review of the movie from Tom Bie, editorr of The Drake. Here is an old post from Moldy Chum about this topic. The link to David James Duncan's statement on the movie is broken, but there are some interesting comments. I read Duncan's statement on the topic when that post was made and he essentially asked his readers/fans not to watch the movie. 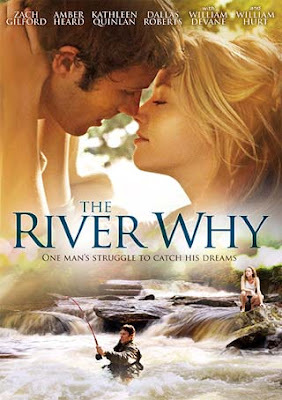 His vision was to move the setting of the movie to Idaho in an effort to raise awareness on salmon and Snake River dams. Here is an interview with Duncan in which he discusses the movie briefly at the end of the interview. Says he: "If I make a River Why movie, Patrick Markey (who produced “A River Runs Through It”) and Matt Salinger (a film and play producer in New York) would produce. I’d transfer it to Idaho so the LSR dams and endangered salmon would figure in. Sherman Alexie would co-write, with carte blanche to create hilarious Nez Perce characters, as only he can do. I had this ball rolling, 'til the current film was shot. If the current film bombs we may reconvene and do it right." Here is the film's official website. -Both Gus and Eddy clearly don't know how to fish. -A River Runs Through It was made into a very good movie. Can a movie truly spoil a book that's sacred to you? Yeah, this movie isn't for us, fishermen. I mean, look at the promo poster. The top half is the same as The Notebook. Hollywood is turning this into a love story, not a fishing story, because the former has broad appeal, the latter doesn't. "Have you ever tried fly fishing?" "Yeah, I've fly fished for most of my life." "Oh really? You must have loved 'The River Why'?" Eddy is a good looking girl. Where are the references to the wiley way he catches the trash eating bass. I thought that would be a main part of the movie. I'm gonna see it but the trailer is questionable. I couldn't agree more with the quote about Eddy's character as impossible to personify. There are other un-personifiable qualities as well that can only really exist in the mind. In the trailer, mere seconds after we are made aware of the fact that this movie has won a "best cinematography award", baby Gus pulls a frozen dead fish out of the river. I realize this award is probably more about human interaction but cmon, that's just lazy. not sure why i have a desire to see this movie, especially if the trailer has so much i don't care for. chet's statement about eddy is spot on as well. but maybe i'm setting it up to fail. maybe it already did. someone watch it and report back.